You’ve probably been told sleep is a huge part of your health. But how many of us actually give our bodies the sleep it requires? There are so many reasons why sleep is important and so many reasons why we are sleep deprived and not prioritizing sleep. I could go into details on every topic correlating health, sleep and even beauty however you would not have time to read them all. Instead I have one goal. I want you to get a better understanding of why sleep is important to you and how we can get you to sleep more and not just more but better quality sleep. I want you to make sleep a priority and then when you tell people what you did that changed your life you tell them I started sleeping. I made sleep a priority and everything else fell into place. Sleep is NOT an option it is a NEED like food and water. Sleep needs to be a Priority! Getting proper sleep is crucial to your health and well being. Internal organs rest and recover – tissue repair, muscle growth, and protein synthesis primarily occur during sleep. Hormones are released and help to regulate appetite control, stress, growth, metabolism, and other bodily functions. Memory consolidation occurs, allowing for the formation and storage of new memories, which is essential for learning new information. Lack of sleep disrupts circadian rhythms and can lead to inefficient bod regulation energy balance, metabolism, and appetite. Leptin the hormone that tells your body “I’m full, stop eating” is significantly reduced when you are sleep deprived. Therefore, your appetite and cravings increase. Sleep more, eat and weigh less! Did you know getting less than 7 hours of sleep per night can actually triple your chances of getting sick! Your body is more susceptible to stress without a good night’s sleep. The immune system does not function optimally, and inflammatory proteins and blood sugar levels rise in response to lower levels of insulin being released throughout the night. All of these negative effects on the body contribute to an increased risk of diabetes, heart disease, stroke, and infection. 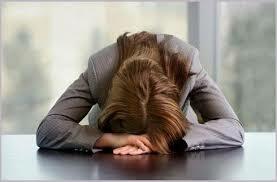 When you are exhausted, both physically and mentally, there is an increased risk of injury, errors, and accidents. 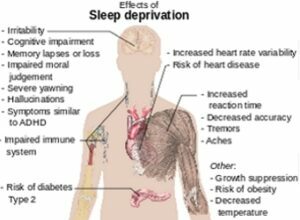 There are measurable changes in brain activity that occur after a period of sleep deprivation. When you do not get sufficient amounts of sleep your mental performance suffers, impairing your ability to process new information and memories and impacting your overall mood, focus, and high-level cognitive function. Without sufficient rest, you may have trouble keeping your emotions in check. Increased feelings of irritability, anxiety, sadness, and anger are very common. You may even find that you are more vulnerable to laughing or crying regardless of what you are feeling. 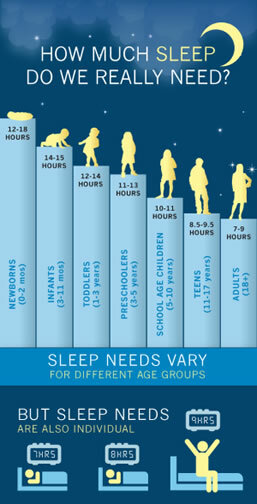 But How Much Sleep Do We Really Need? Many studies will tell you how much sleep is necessary put this is really something you will want to experiment with. I have found for myself if I sleep for 7 to 7.5 hours I feel great but if I sleep for 8 hours I’m over tired and although I can function at 5 to 6 hours I am unproductive and extremely irritable. On days when my work schedule would allow for it I would go to sleep when I’m tired and wake up when my body wants to wake up. After some time I discovered how much sleep my body prefers. This can take sometime especially if our body is extremely sleep deprived. As a bartender staying up late for work and a mom waking up early I thought for a while that I was fine on 5hrs and that 6hrs was ideal as long as I sneak in a 20min power nap because my body had just gotten so used to not being allowed to sleep. It’s usually noticeable on someones face if they’ve had a good night sleep or if they’ve been sleep deprived, but what if that went on for long periods of time? The definition of Beauty Sleep is: Sleep considered to be sufficient to keep one looking young and beautiful. Premature aging is a huge effect to sleep deprivation! Lack of sleep can affect your skin and face immediately. Red eyes, droppy eyelids, and puffy eyes and face are obvious signs of lack of sleep but what about larger pores and increased acne due to increased secretion of sebum and stress related inflammation. I’m a woman and like most women my appearance is very important to me. If something as simple as prioritizing sleep can make me more beautiful then why not try to sleep more. Maintain a consistent daily schedule. You want to try to go to bed at the same time and wake up at the same time daily even weekends. This is very important as you want your body to get used to your sleep cycle so that you can have a better night sleep. Try setting an alarm telling you to go to bed at night not just one to wake you up. Take a look at your schedule. See where you can go to bed earlier or wake up later. Engage in regular exercise more specifically aerobic exercise. Although, I believe all forms of movement are beneficial; when it comes to sleep, aerobic exercise is king! And not just any aerobic exercise but HIIT (High Intensity Interval Training). And because it’s quick burst of energy it also won’t take much of your time so you can squeeze in a workout and get on with your day. Exercise in the morning…since exercise increases alertness exercising at night can actually keep you up. Reduce daily intake of caffeine. NO caffeine after 2pm. I would even recommend more like 12pm considering that the effects of caffeine can last at least 6 hours whether you notice it or not. Limit beverage consumption before bed. I love to drink tea at night but am careful not to have it too close to going to sleep. If not I’ll wake up in the middle of the night and have trouble falling back to sleep. Even bedtime teas like chamomile and lavender can actually disturb your sleep by waking you up to use the restroom. Turn off the computer or television It’s best to turn off these devises 2 hours before you go to bed. The blue-light will actually disturb melatonin levels making it difficult for you to fall asleep. This goes for your phone as well. I like to turn my volume of so I’m not tempted to grab my phone at night for the slightest notification. Invest in a real alarm clock, not the alarm on your phone. You want to avoid having your phone near your bed. Keep your bedroom dark, quiet and cold. Keeping the room cool will decreasing your body temperature initiating sleep. Use a warm blanket to keep you from getting too cold. Set the mood for sleep. Start to unwind at least 30min before bed. Turn off extra lights, lower the volume of the TV, music or an noise. Find ways to help you unwind. Reading a book, bedtime stretches, a bubble bath. Don’t go to bed on a full stomach or an empty stomach. If you’re hungry before bed eat something light that won’t upset your stomach and keep you up. Never go to bed on an empty stomach or you will probably have to get up to eat in order to fall asleep. Avoid foods high in carbohydrates before bed. Can’t turn your mind off at night. Write down the thoughts your having so that you can sleep with less worry on the brain. Don’t force sleep. If your restless and laying in bed for over 15-20min get up and try to do something that helps you sleep but won’t energize. Reading a book and journaling are great ways to fall asleep. Invest in comfortable bedding and a comfortable mattress. It seems pretty obvious the more comfortable you are the better you will sleep. Go to sleep and wake up using your internal clock. There’s nothing wrong with the power nap or that afternoon Siesta. Napping seems to work wonders anywhere from 5-45min.Most often from 10-30 min but this will be different for everyone.